In coproduction with the Parliamentary Group Start-up, Le Réseau in Bern. Since its inception, Lift has been talking about making innovation happen on various levels of society, promoting grassroots projects as well as advocating for the digital world with local governments. This year, we are levering our relationship with the Swiss government to take it one step further, right at the epicenter of the country’s political world. Bilan is talking about Lift sous la Coupole! 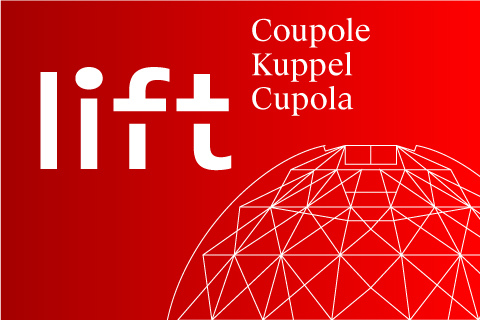 On March 18, 2015, we hosted the first edition of “Lift sous la Coupole” in partnership with the parliamentary group Start-up and Le Réseau in Bern within the Federal Palace. This event brought together an audience of 50 participants, including entrepreneurs, investors, parliamentarians and key senior members from various federal authorities, such as SECO, SERI, FNS and FDF. This initiative was greatly welcomed by all members of these communities as they rarely have the opportunity to be in the same room for discussion. Investors and entrepreneurs got the opportunity to share their thoughts and provide benchmarks, enabling parliamentarians and representatives from federal authorities to assess, how to tackle the current challenges. The event kicked off with a panel of speakers moderated by Fathi Derder, President of Le Réseau and Member of Parliament. Speaker guests were asked to present the three main issues that they believe are preventing the best development of the start-up ecosystem in Switzerland. They spoke from their own experience as successful entrepreneurs and investors. A lively and interactive debate followed with members from the audience expressing the concerns and challenges they are facing through their personal experiences. A number of propositions were also laid out, mostly inspired by the US and Israeli examples, but the intention was more to bring out all the options rather than assessing them one by one. The key elements that emerged were mostly around three pillars; financing, migration policy and risk averse culture. When the working discussion was over, the participants went to the Bellevue Palace for a cocktail, continuing the discussion with the federal councilor Mr. Jonas N. Schneider-Amman. A lively Q&A was held with Mr. Schneider-Amman who was very receptive as well as open to sharing his personal thoughts. This first edition was a great success and was meant to identify the main issues in a general dimension. In subsequent meetings, to be held during parliamentary sessions, we will be exploring these issues in more depth.